I am always amazed when I am invited for a party or homemade meal during the holidays. 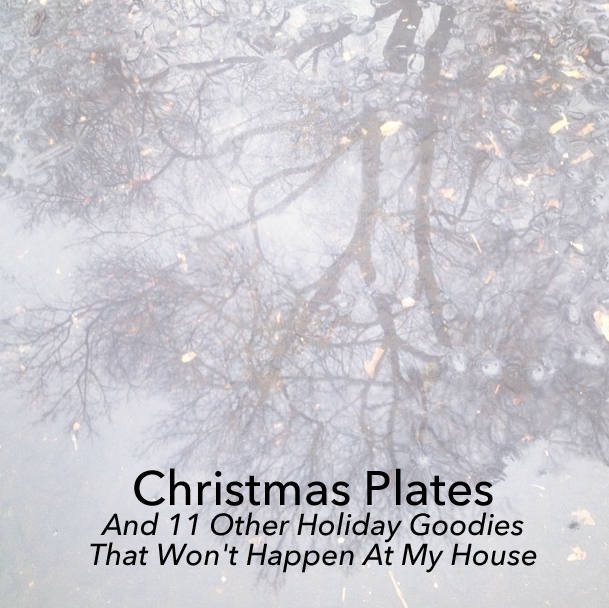 Out come beautiful Christmas plates. We have a set. We inherited them from my in-laws when they moved out of their New Jersey home. 12 years ago. I either forget. Or convince myself I don’t have room for them to be out. Or I can’t remember where they are. Or. Or. Or. It makes me think of other things that I thoroughly enjoy, but just don’t happen at my house. 1) The gorgeously decorated tree is up for Thanksgiving. If ours makes it up 5 days before the big day, we are doing well. 2) Brightly wrapped presents appear under said tree. For weeks. What’s wrong with Christmas Eve, around 10:30? 3) Jingle bell cookies are freshly baked. Offered upon your arrival. I can delight you with red and silver Hershey’s kisses, but that’s about it. 4) Stockings are stuffed with goodies. In April, I usually discover at least one, if not more, stuffers that I hid in my sock drawer. And forgot. 5) Significant planning has occurred for delicious holiday dinners. I quickly read half of the recipe. So I have to send my husband out for some ingredient I either read wrong or – surprise, surprise – is vital to the dish and was found in the 2nd half. If he can’t go or it’s too late? I improvise. Risky at best. 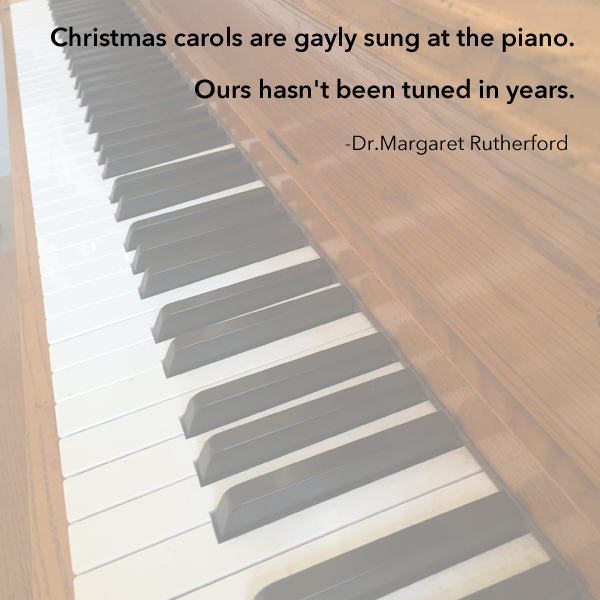 6) Christmas carols are gayly sung at the piano. Ours hasn’t been tuned in years, so we must sing loudly. 7) Gifts have been purchased, little momentos or perhaps bottles of wine, to give to that someone who unexpectedly shows up with a present for you! If you’re not on my list, sorry my friend. It’s better to give than receive. 8) Presents for teachers, babysitters, and the newspaper delivery guy have been personally labeled. I have forgotten that we used all the labels last year. I end writing their name on the present with a sharpie. 10) Great forethought has been put into each and every gift. I do try to do this. But, the problem is my memory. Let’s just say I gave Vanderbilt golf club covers 2 years in a row. A year is a heck of a long time to remember such details. My family and friends forgive such tendencies. I am blessed for that. Am I going to try to change? I don’t think so. Christmas happens every year. The love and appreciation I try to express the rest of the time will have to get me through. 11) Who said holiday greeting cards had to be received in the year of the holiday itself? Everyone needs a little lift in January. Have a merry holiday season. If you are like me, or know someone who is, perhaps you can give them the gift of this post! Thanks for reading. And SUBSCRIBE in the gray box above for a weekly newsletter, and a free copy of my eBook, “Seven Commandments Of Good Therapy,” a guide to choosing a therapist and how to evaluate your current therapy. Top image courtesy Deborah Strauss.